We use advanced technology to ensure the most precise and effective Radiosurgery treatment available. Stereotactic radiosurgery is a nonsurgical form of radiation therapy we use to treat cancers of the brain, lung, as well as other types of cancer that require a high degree of precision. With regular radiation therapy treatment, healthy tissue also receives radiation. With stereotactic radiosurgery, doctors may better focus the radiation on a tumor, so nearby healthy tissue is protected. This is especially important for areas like the lungs and brain. 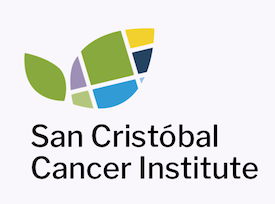 Using this technology, the cancer experts at San Cristóbal Cancer Institute may be able to reach tumors deep inside the body without the risks of surgery. There is no incision, minimal discomfort, and few of the risks typically associated with surgery, such as infection. We perform stereotactic radiosurgery with a state-of-the-technology called TruBeam. Stereotactic body radiation therapy (SBRT) uses imaging techniques to deliver a targeted radiation dose to a tumor. The radiation is focused on the tumor with millimeter precision. The result may be that less healthy tissue gets damaged by radiation. Preserving healthy tissue is important for cancer patients whose tumors are near or in essential organs. Before treatment, markers are placed around the tumor. SBRT uses a coordinate system to precisely locate the tumor to ensure proper placement of the tracking devices. During treatment, we deliver concentrated, highly focused radiation. The custom mapping provided by the coordinate system plans the radiation to account for a patient’s anatomy, breathing and organ motion. Throughout the treatment, the intensity and direction of the beams are constantly modulated to target the tumor and spare healthy tissue. The beams are also adjusted for any movement from breathing or digestion. SBRT may be used to deliver a single high dose of radiation, or several fractionated radiation doses (usually up to five treatments over a period of days). If you’d like to learn more about our Radiosurgery treatments or any of the other services available at our state-of-the-art Cancer Center, please contact us.